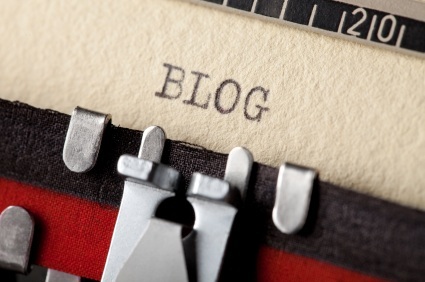 How Can a Well-Intentioned Blog Go Terribly Wrong? The path to a disastrous blog is written with good intentions. Many set out to create a memorable and successful blog post, but do not realize until long after they have hit “publish” that what they have put online is harmful to both their reputation and their business. Written content is meant to be effortless to read while also enticing. Nothing throws a pot hole in the path to success like grammar mistakes. Misspellings, bad syntax, poorly constructed sentences, and clunky language can easily put an end to the reading of a blog. Process your thoughts, take your time, and review your blog before publishing. If a visitor believes that a business cannot write properly, how can they trust the services that are provided? Businesses must understand that, like the services they provide, the blog they publish is meant to serve the needs of customers. However, many business blogs view their online output as a soapbox rather than a tool of online marketing. Spouting out controversial opinions, making assumptions about visitors, using foul language, or generally providing information that is misleading, not what the visitor came to see, or just plain false are all fast-track ways to alienate potential consumers. Should a visitor be offended by your output, he or she is unlikely to ever become your customer. Think of Google as the eye in the sky that is the Internet. If your blog starts violating the rules that Google has established for its search engines, then your blog and company website may be penalized and dramatically drop in online rankings. However, Google is continually updating its rules and many bloggers may not realize they are committing one of the many cardinal sins of Google. Keyword stuffing, bad linking, and many other practices can be spotted by Google, which may view your site as spam and punish you likewise. At SLS Consulting, years of experience and a keen eye on what makes a success or failure in the world of modern online marketing helps us to specifically create high quality content for the needs of each client. Blogging is just one of many aspects of successful online marketing that our team integrates into the plan for each business we serve. To learn more about how we can boost your online presence in a legal, ethical, and successful manner, call our offices at (323) 254-1510.